So you’ve finally decided moving from New Jersey to Spain is right for you. Regardless of what influenced this decision – whether it’s the country’s beautiful cathedrals, vibrant culture or Mediterranean climate – choose Simonik Moving & Storage to get you and your belongings there safely. Since 1977, our expert movers have been successfully executing moves of this stature. We put the upmost care into each and every job; even when it requires us to haul your items halfway across the world. This is precisely why we’re a BBB-accredited business and a Pro Mover of the American Moving and Storage Association. When moving internationally, you need to hire a moving company that can handle your needs, regardless of size. 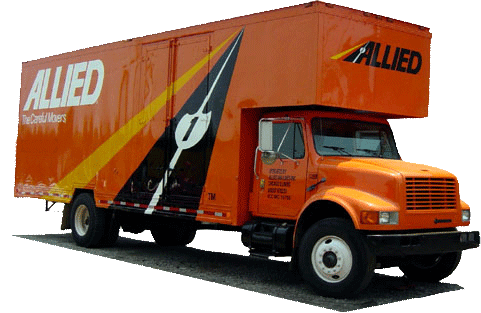 As an agent of Allied Van Lines, we have the skilled crews and state-of-the-art resources necessary to complete your relocation with efficiency. Additionally, this partnership gives us access to a global network of moving and storage professionals who will work around the clock to ensure your move from New Jersey to Spain is streamlined. Unfortunately, sometimes you can’t move in before you have to move out. For this scenario, we offer short-and-long-term storage options in our spacious warehouse. We will pack your belongings in containers designed for international shipping, and then store them in our highly-secure, temperature-controlled facility. During your move from New Jersey to Spain, rest easy knowing you’ll receive your items in the same condition you left them. Simonik services households across all of North Jersey – including Hunterdon, Mercer, Middlesex, Monmouth, Morris and Somerset counties. If it’s a county in the northern part of the state, chances are we move households to and from it. In the past, we received the “Mover of the Year” award from the New Jersey Warehousemen & Movers Association. This is due to our experience, skill and dedication to providing New Jersians with unparalleled customer-oriented services. Additionally, we’re a Registered International Mover, so whatever you need for your international move, we can take care of it for you. Take the next step in planning your international move and call Simonik Moving & Storage today! Our NJ to Spain moving specialists are ready to answer your questions. You can also request your free, no-obligation moving estimate now by filling out our online quote form.